It was with more than a little sadness that I heard from James Woodcock that he is to close the YPKO website. Cath and I would like to express our sincere thanks to James for all the help he has given with our own website and, of course, for providing such a valuable resource that we’ve all been fortunate to share. 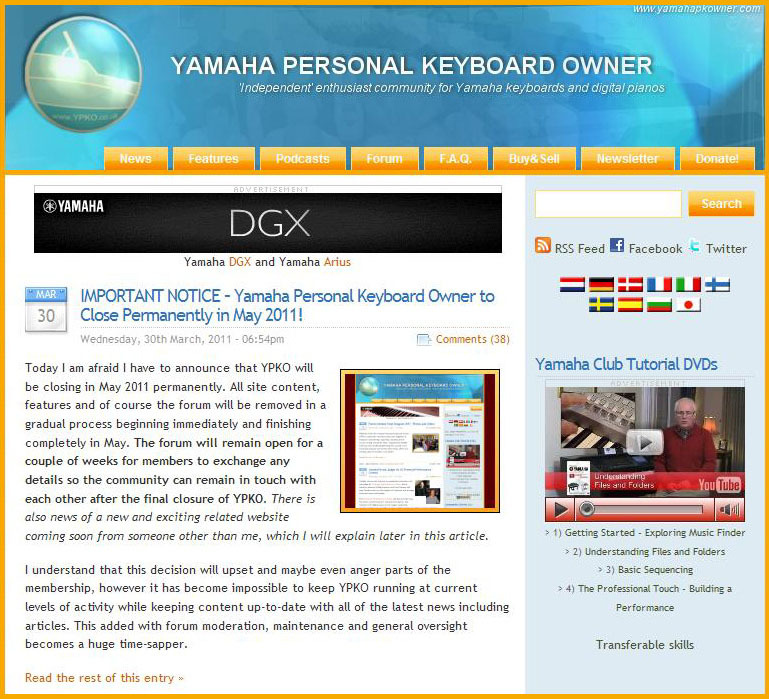 James’ has several, quite understandable, reasons for winding up the Yamaha Personal Keyboard Owner website – and those who are interested will find out more in his YPKO announcement. We expect that the YPKO website will be closed down in stages. James is currently in contact with another party who is interested in forming a new Yamaha enthusiasts’ website along the same lines – but we will be able to provide more details of this, and any ongoing association with Yamaha Club, as more information becomes available. The Yamaha Club Magazine will continue as before as will our own ‘club based’ website and archive. We have received several calls/emails from members who are worried that Yamaha Club is closing too – but this is not the case. We are, however, deeply sorry to be saying goodbye to a valuable partner. 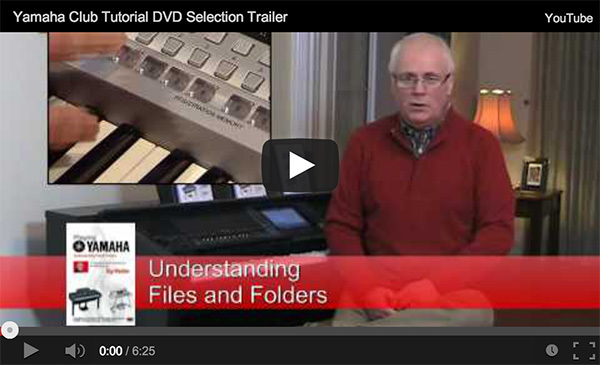 James Woodcock’s association with the Yamaha Club as producer of our range of tutorial DVDs will continue as before and will be unaffected by the closure of YPKO. I’m sure that all our friends and Yamaha Club members will join Cath and me in sending James our very best wishes for the future – and we hope that he will now be able to find the much needed time to concentrate on new enterprises.